The internet is good at many things. Manipulation and misdirection are sometimes part of that skill set. Understanding the goal of online real estate sites may shed light on what information is useful and which is not. I am often amazed at how influential real estate websites are and what power they hold over the general public. Rarely a day goes by that someone doesn't ask me about something they saw on Zillow. 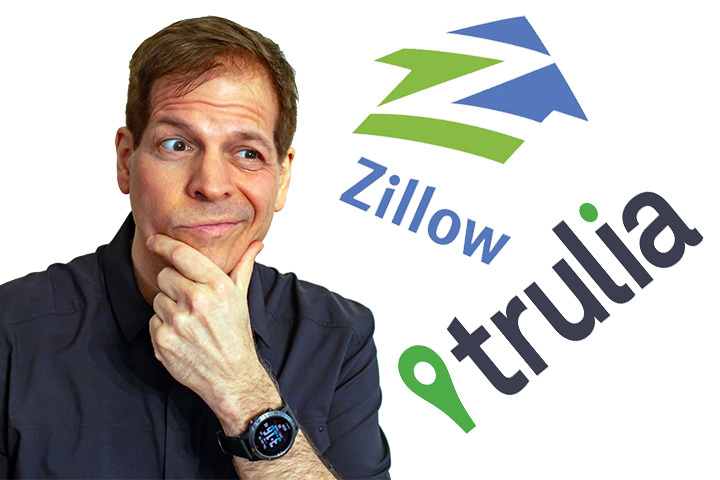 I do my best to field the question and educate the questioner on the role many websites like Zillow play in the grand scheme of our industry. Most sites like Trulia and Zillow are advertising sites for Realtors and Brokerages. I advertise there because home buyers and sellers go there; the same reason I advertise in local real estate publications and, of course, in the Reading Eagle. Let me repeat; these sites do not sell houses, they sell advertising. Websites are not required to play by the same rules as licensed realtors. The low home inventory environment that presently exists is not beneficial to real estate websites. The more homes for sale the more consumers visit the site. In an effort to manufacture more listings, these sites may spread misinformation or bend the truth to gain more lookers. One way to beef up inventory is to display homes that are pending sale as still for sale. They will also display homes that are in pre-foreclosure status which are not for sale. I have seen the same house listed as for sale and not for sale on these sites at the same time. By delivering more leads by whatever means necessary the website can validate their existence as a lead provider to the paying agent. It is then up to the agent to convert the would-be misled customer and turn them to another available property. If a particular home seller does not want to use the internet sites to sell their home, known as opting out, for privacy or personal reasons the online real estate websites list the home as off-market or not for sale. To me, this practice is overreaching and should be considered misleading by consumer advocacy groups. I do not suggest depending on any single source of information for all your real estate wisdom. You would never have only one tool in your toolbox you would use for every task. Even sites like Zillow and the rest depend on the real estate industry to do the heavy lifting. Unfortunately, that heavy lifting may someday lead to agents becoming little more than real estate uber drivers, but that's another story. Again, real estate websites like Zillow do not sell real estate; they sell advertising to real estate agents. They often do not compile their data and information but acquire it from third-party resources. The accuracy of data is not a prerequisite. It has taken me years to learn the dynamics of how to value real estate and just as long to understand the metrics of the Reading and Berks Housing market which I have served for over 25 years. How can Zillow do that with a mathematical algorithm called a Zestimate? As far as I know, Zillow has never been to Reading and Berks County. Using real estate sites is the now and future of our business. I hope it becomes responsibly regulated to provide the same ethic, and honesty, we as realtors uphold. The lesson I teach is that no real estate website can outperform any real estate agent who understands their community and is educated at their craft, at least not yet!